From the director of Cannibal Holocaust - undoubtedly one of the most impressive movies ever made - comes this action packed thriller about drug dealing and ruthless murder. The film has also a strong adventure-oriented impact that makes other adventure-films as the Indiana Jones-trilogy look like The Adventures of Winnie Pooh (oops - I'm not even sure how to spell this cuddly bear...). 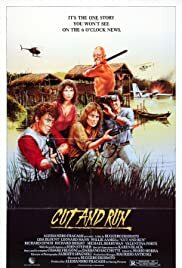 Michael Berryman and Richard Lynch give fine performances, and make sure you get the strong uncut version of this film: unfortunately, it was released in two different cuts, the more common one looks like an arbitrary action movie, while the rare version is packed with gross gore FX that strengthen the impact of this enjoyable pic.